Maria Bartuszová (b. 1936, Prague, Czechoslovakia; d. 1996, Košice, Slovakia) graduated from Academy of Applied Arts, Prague, Department of Ceramics in 1961. Her work was exhibited during her lifetime in former Czechoslovakia and recently has been featured in many international exhibitions. 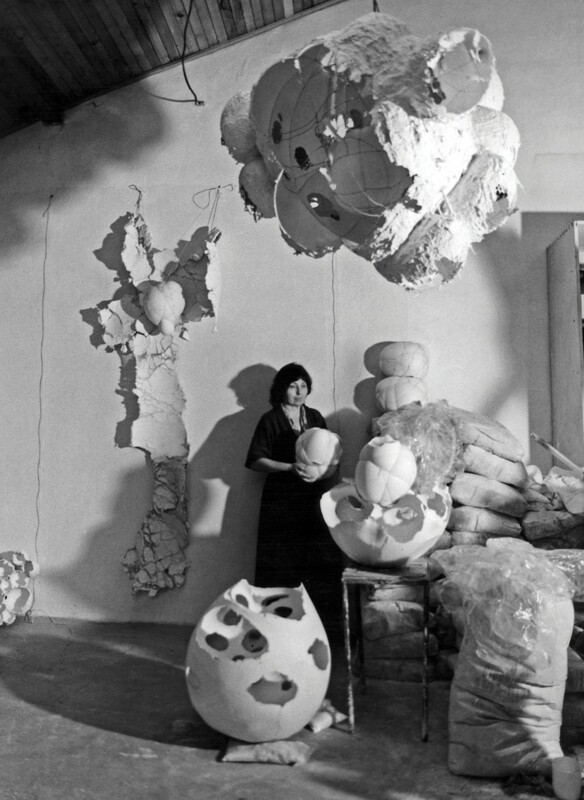 Among others these include Documenta 12 curated by Ruth Noack in 2007, Les Promesses du passé, 1955-2010, Centre Georges Pompidou in 2010 and the retrospective Maria Bartuszová Provisional Forms at Museum of Modern Art, Warsaw in 2014. In 2016 Alison Jacques Gallery presented the first UK solo show of work by Bartuszová, and previously featured her work in two group exhibitions: Matter & Memory in 2014 and Organic Sculpture in 2015. Recently group exhibitions include:Virginia Woolf: An Exhibition Inspired By Her Writings at Tate St. Ives, curated by Laura Smith (2018) and I Self Collection Display: Bumped Bodies, Whitechapel Gallery, London UK (2018). Tate Modern, London, will open a major retrospective of the artist's work in Autumn 2020. Bartuszová's work is in numerous museum collections including Tate, London; Centre du Pompidou, Paris; and Slovak National Gallery, Bratislava.